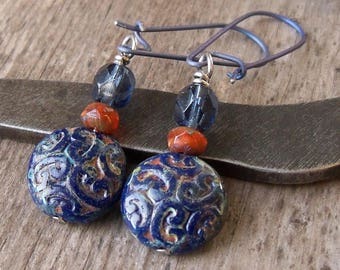 This listing is for a pair of beaded dangle earrings. They can be made with hypoallergenic, pure titanium ear wire, oxidized sterling silver (shown), or a basic gunmetal. The gunmetal wire will not be a handmade ear wire. Love these milky aqua beads. They have a Picasso finish. 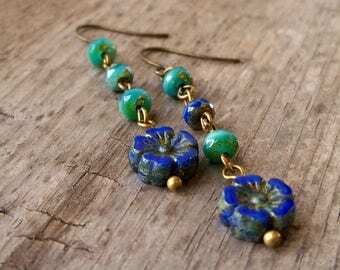 These are premium Czech glass beads. 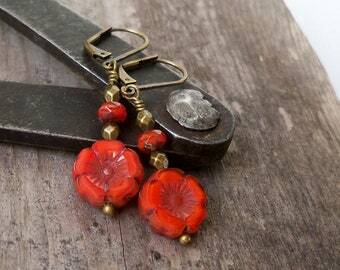 They are 17 x 8mm. 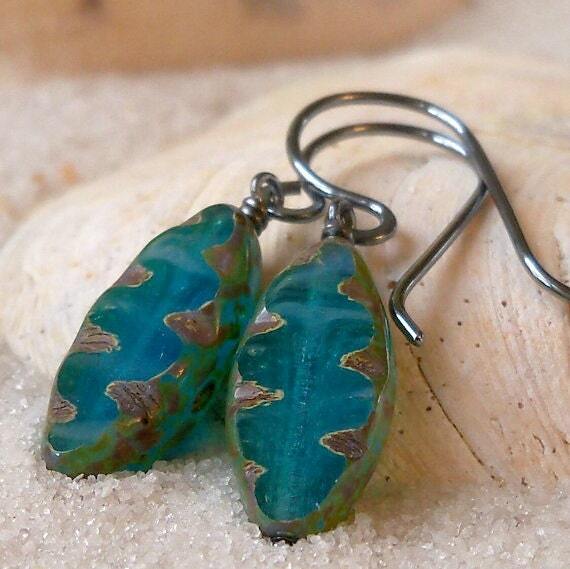 The oxidized sterling silver ear wire is hand made by another Etsy artisan. If you choose pure titanium wire, it will be a pewter gray color or antique bronze (listed as titanium bronze). The antique bronze wire is the same exact coloring as antique brass. 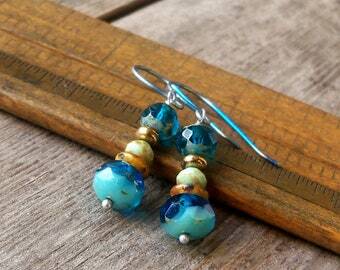 These earrings are just shy of 1.5" in total length. Happy to include gift wrapping (and small card) for your convenience. Please leave any instructions and/or notes to the recipient, during checkout.